What Is Mobile-First Indexing and How Will It Affect Your Search Rankings?What Is Mobile-First Indexing and How Will It Affect Your Search Rankings? 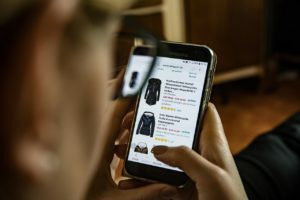 What Is Mobile-First Indexing and How Will It Affect Your Search Rankings? We’ve been hearing a lot about mobile-first indexing lately. Google announced earlier this year that it’s changing its search algorithms, so they rely on mobile-first indexing as opposed to using the desktop version of a website. This can have huge implications in terms of the way websites are ranked in the search results. Some websites may be at a disadvantage if they aren’t mobile-friendly, while some content elements may be lost on the search algorithms. SEO consultants and website owners are doing their best to adapt to these changes coming down the pipe. Learn more about mobile-first indexing and how its affecting websites across the internet. Mobile devices have become the tool of choice when it comes to surfing the web. Mobile web browsing has officially surpassed desktop browsing as of last year. Mobile internet traffic now accounts for 51.2% of all global web traffic. Google understands that its users are more likely to be on-the-go instead of sitting at home on their desktop computer. In response to this trend, Google is shifting its focus towards mobile-friendly websites by introducing mobile-first indexing. 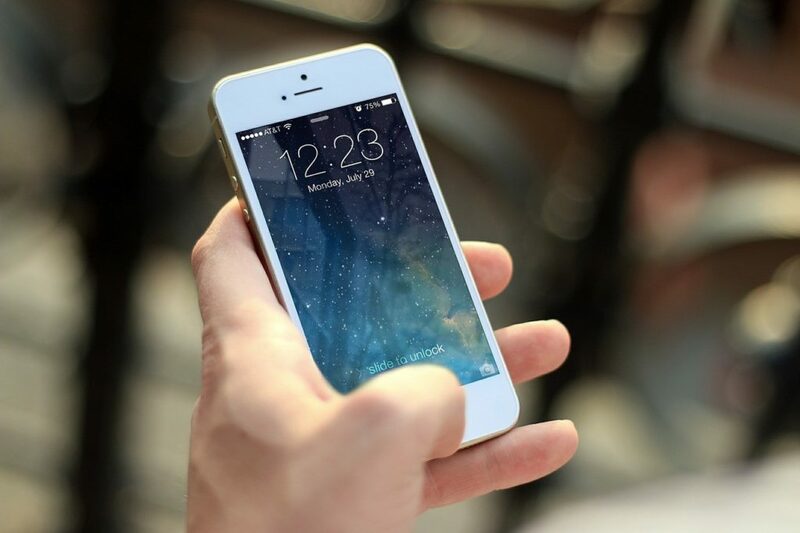 Mobile-first indexing means that Google will defer to the mobile version of your website automatically, instead of using the regular version of your website, when compiling the search rankings for a particular search term. If your website is not mobile-friendly, it may still rank for that search term, but it might rank lower in the results. This is Google’s way of giving preference to mobile-friendly websites because the company knows that its users prefer to surf the web on a mobile device. Thus, website owners will feel encouraged to create mobile-friendly versions of their website, making the entire internet more mobile-friendly. How Will It Affect Your Website Searching Rankings? While the jury is still out on exactly how different sites will be affected by mobile-first indexing, the main takeaway is that your website should be mobile-friendly if it isn’t already. But beyond that, mobile-first indexing will affect your website in a number of ways depending on how different your mobile website is from your desktop site. If both websites are nearly the same in every single way, such as content, meta data, speed, and SEO, the difference should be negligible. But if your mobile website varies quite a bit from your desktop website, you could see a major change in your search rankings. Mobile-first indexing is starting to go into effect across the internet. Some websites may have already seen a change in their search rankings, while others could see a difference in the coming weeks or months. To prepare for this sea change in SEO, use the following tactics when thinking about SEO and content optimization. Speed remains a powerful ranking factor in terms of SEO. Your webpage should load in around 3 seconds or less. But if you’re using the desktop version of your website to measure your load time, you could get into trouble. Remember that mobile-first indexing means Google uses the mobile version of your website when ranking search results. That means you should be using the mobile version when measuring speed, performance and load time. Some of your website’s content may be hidden or pushed to the side when someone loads the mobile version of your website. This might include images, graphics or large chunks of text that might be too much for such a small screen. But if some of this hidden content is central to your SEO strategy, you’ll need to find a way to utilize this content on a mobile device. While you don’t want to overwhelm the user with content when they’re using a mobile device, the mobile version of your site needs to contain some of the original content if you want your site to rank for a particular search term. Remember all those SEO tactics we’ve been talking about for years, like meta descriptions, title tags, H1 headings, and keywords? Make sure all those SEO tactics still apply to your mobile website. Some website owners might assume that their mobile website is the same as the desktop version, but this may not be the case. Page titles and meta descriptions might change depending on what web host you’re using, so make sure all your mobile webpages are optimized for SEO. The user experience is still a major ranking factor for SEO. That means you should be paying more attention to the user experience of your mobile website. Your desktop website might be easy to use with its clearly-labeled menu of options and expansive margins, but your mobile website might need some work when it comes to enhancing the user experience. Try loading your mobile website and see how easy it is to get around from one section or page to the next. You might not have to do much to prepare for mobile-first indexing if the mobile version of your website is the same as the desktop version, but this isn’t always the case. Make sure you spend some time analyzing and optimizing your mobile website to make sure it’s ready for its big debut on Google. If you noticed a dip in your search rankings over the past couple months, the shift to mobile-first indexing might be to blame. Remember to stay on top of Google’s changing algorithms as you continue to improve upon your SEO strategy. If you’re looking for more information on how mobile-first indexing will affect your website’s search rankings, get in touch with the best Toronto SEO expert for a free SEO consultation and lead your business to SEO success.